Credit: Jian Luo et al. "Bismuth and sulfur are two well-known embrittling impurities for nickel. Interestingly, we found that these represent two extreme cases of interfacial structures–ordered versus disordered, respectively. 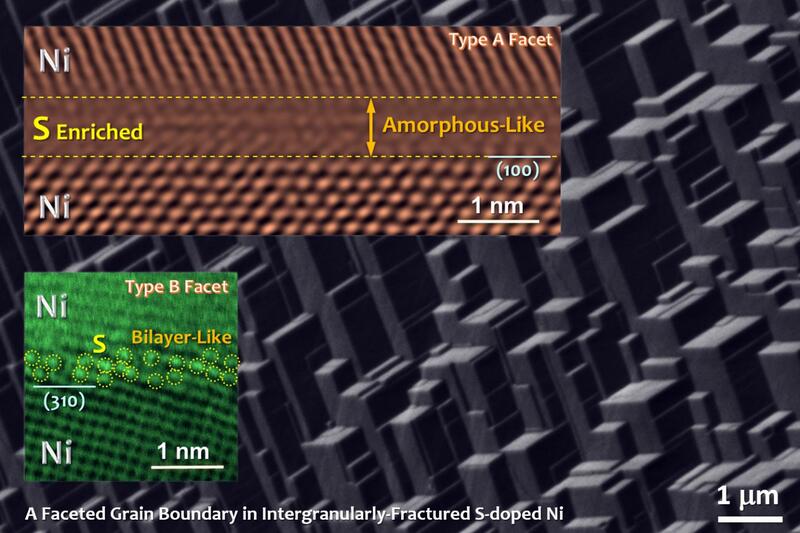 Thus, they may be considered as two classic examples of grain boundary embrittlement with different underlying atomistic structures," Luo said.